Sochi 2014: In Your Face, Homophobes! Reports of rampant homophobia in Russia have dogged the build-up to the Sochi Winter Olympics, leaving many political leaders floundering. How to demonstrate opposition to a legislation that has stigmatised homosexuality to the extent that targeted attacks are tacitly encouraged, without rocking a boat already exhibiting distinct and dangerous looking cracks? FYI, Dave, hiding on the poop deck with a tube of wood glue in your pocket isn’t helpful. Fortunately, many countries don’t rely on the empty posturing of politicians to make their feelings known and a few heartening examples of wittily articulated protest have found their way into the public arena. These are just a few of them. 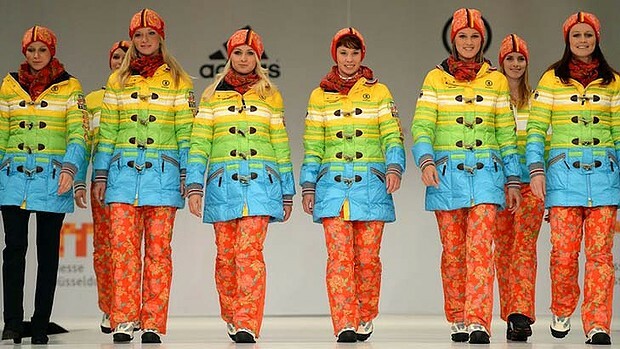 Uniforms so intense their commitment to all the colours of the rainbow, they can be seen from Moscow. If not space. Channel 4’s ‘Gay Mountain’ campaign. Good luck to everybody competing. And everybody brave enough to stand up and speak out against the injustices perpetuated by Russia’s political leaders.